Aviation Boatswain’s Mate (Handling) Airman Apprentice Joseph Min Naglak was working on the flight deck of Bush struck by the propeller of an E-2C Hawkeye after he secured the plane to the deck. The carrier was conducting flight operations qualifications at the time. He had served aboard Bush since completing training in Pensacola, Fla. after enlisting in the Navy in April 2017 in his hometown of West Windsor, N.J., read a Wednesday statement from Naval Air Force Atlantic. “The loss of a shipmate is a heartbreaking experience for a crew of a Naval vessel and those aboard USS George H.W. Bush will mourn Naglak’s passing and remember him always for his devoted service and sacrifice to our Nation,” read the AIRLANT statement. Joseph Min Naglak, the U.S. Navy sailor from New Jersey who tragically died this week when he was struck by an airplane propeller while working aboard an aircraft carrier, was a man who often put others before himself. "He wanted to join the Navy to give back to a country who gave him so much," his sister Stephanie Blair Naglak said in an interview with NJ Advance Media. "He was everything that I hope to be one day and he should always be remembered as a hero with a big heart." 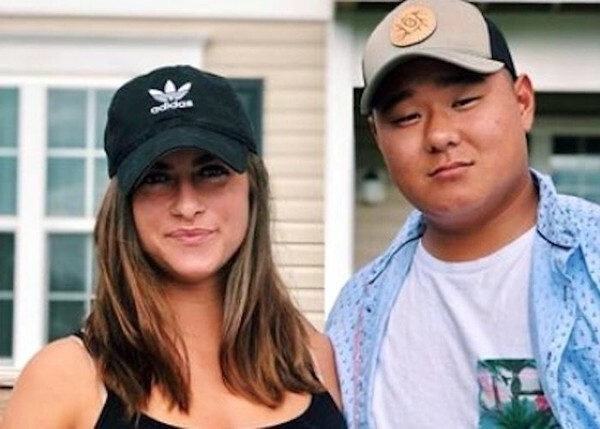 Joseph Naglak, who grew up in West Windsor, was adopted by the Naglak family from South Korea when he was almost 2 years old, his sister said. Heartbreak struck his life early on when his mother, Jeanne Naglak, died in 2011. His sister said Joseph was always by her side through her illness. "He took care of our mother when she was sick, and kept our family together when she passed when he was only 14," Stephanie Naglak said. "My brother was one of the most thoughtful and compassionate people." In addition to giving back to those who were less fortunate, Joseph loved sports, music and food. Stephanie Naglak said that every friend he had was "someone he called family." Joseph Naglak attended West Windsor-Plainsboro High School North and attended Monmouth University, where he studied homeland security and counter-terrorism. Joseph enlisted in the Navy in April 2017, and was an Aviation Boatswain's Mate (Handling) Airman Apprentice, according to a release from the Navy. He was stationed in Norfolk, Virginia, where he lived with his fiance, Niki Weber. The couple had just gotten engaged earlier this month. Naglak reported to the USS George H.W. Bush four months after he completed training in Pensacola, Florida, the Navy said in a statement Wednesday. During his time with the Navy, Joseph continued his tradition of giving back by volunteering with the Special Olympics and by helping low income children near his naval base, his sister said.